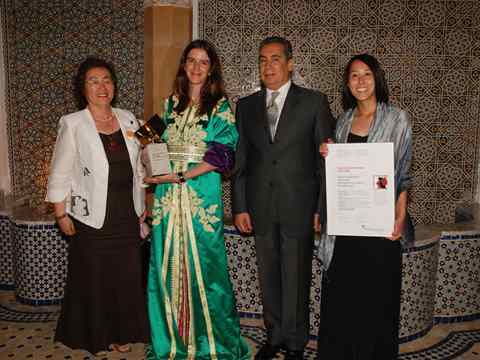 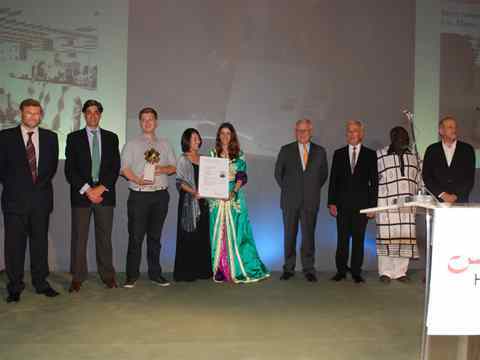 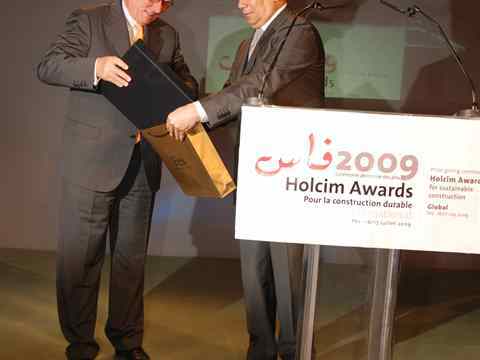 Prize hand-over to the winners of the Global Holcim Awards Gold prize 2009 (l-r): Dominique Drouet, CEO of Holcim Morocco; Javier de Benito, Area Manager of Holcim, Switzerland; members of the winning team Nicko Elliott, Aziza Chaouni and Takako Tajima, Bureau EAST, Morocco/Canada/USA; Markus Akermann, Chairman of the Management Board of the Holcim Foundation and CEO of Holcim, Switzerland; Hans-Rudolf Schalcher, member of the Management Board of the Holcim Foundation, Switzerland; Joe Addo, head of the jury for Africa Middle East 2008, Ghana; and Enrique Norten, member of the global Awards jury 2009, Mexico/USA. 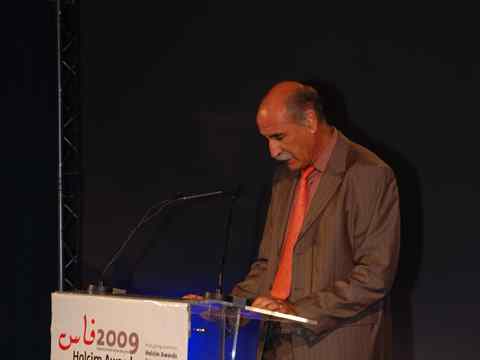 Mohammed Gharrabi, Wali of Fez-Bouleman, Morocco welcomed guests to the hand-over ceremony on behalf of the provincial government and commented that the winning project is part of a number of larger ongoing projects by the region and the city of Fez to improve living conditions and opportunities for the inhabitants of one of Morocco’s iconic cities. 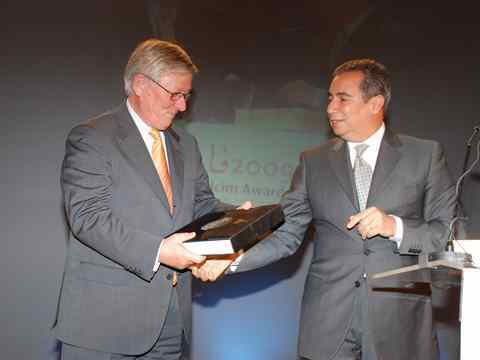 Mohammed Gharrabi (right), Wali of Fez-Bouleman, Morocco presented a commemorative book on the current 1200th Anniversary of the founding of the city of Fez to Markus Akermann (left), Chairman of the Management Board of the Holcim Foundation and CEO of Holcim Ltd, Switzerland. 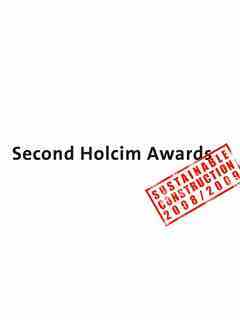 Markus Akermann, Chairman of the Management Board of the Holcim Foundation and CEO of Holcim Ltd, Switzerland applauded the global gold award-winning project. 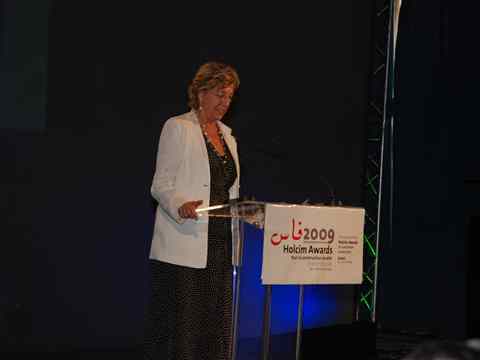 Julia Marton-Lefèvre, Director General of the International Union for Conservation of Nature (IUCN), Switzerland applauded the Holcim Awards competition for promoting critical interdisciplinary and long-range perspectives by demonstrating the link between sustainable construction and environmental performance. 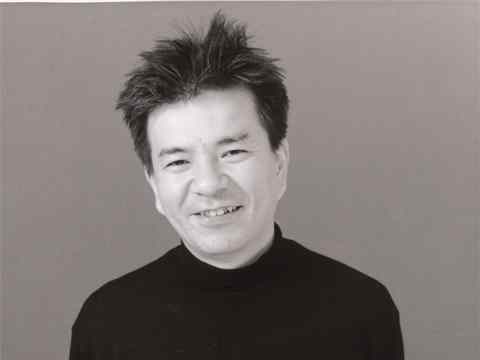 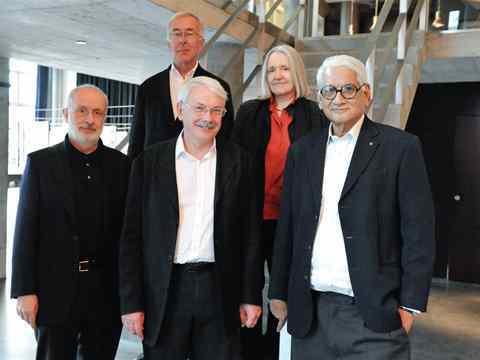 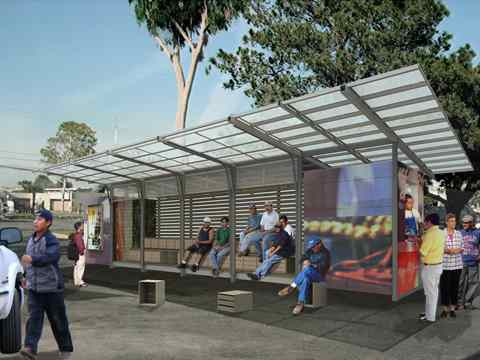 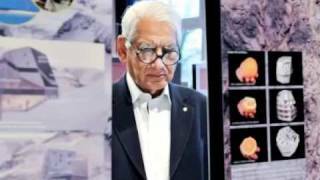 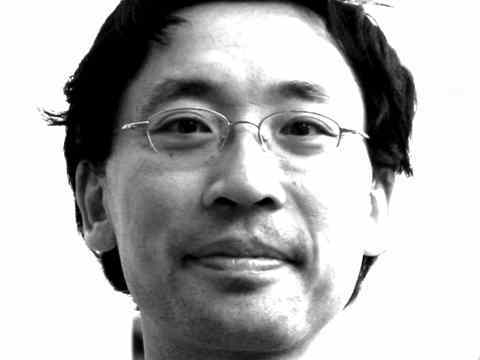 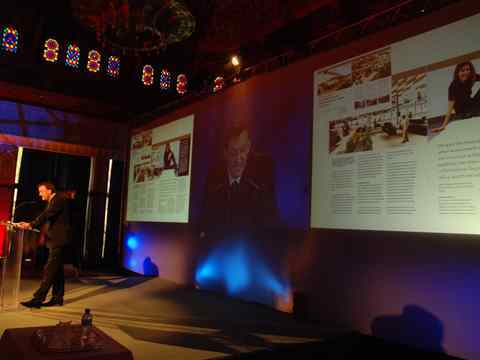 Enrique Norten, Principal and Founder, TEN Arquitectos, Mexico/USA, member of the Advisory Board of the Holcim Foundation, and member of the global Awards jury 2009 presented the top-prize-winning projects. 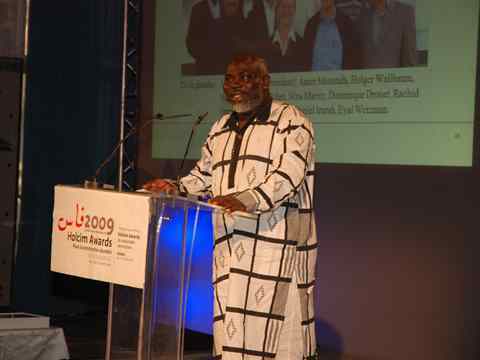 Joe Addo, principal and founder of Constructs LLC, Ghana and head of the regional Holcim Awards jury for Africa Middle East in 2008 presented the top prize winning projects from the region that had advanced to the global phase of the Holcim Awards competition in 2009. 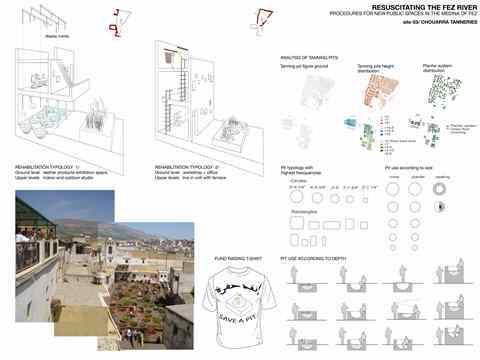 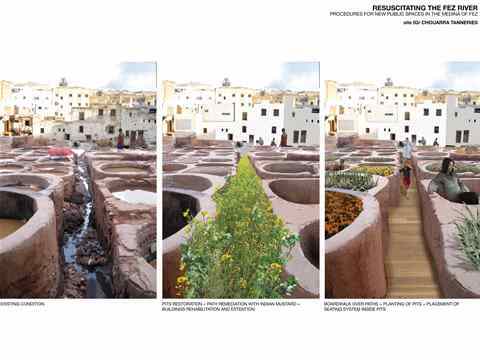 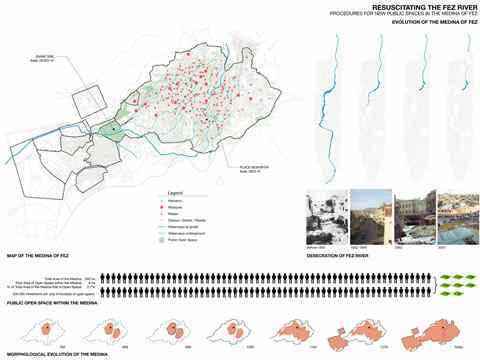 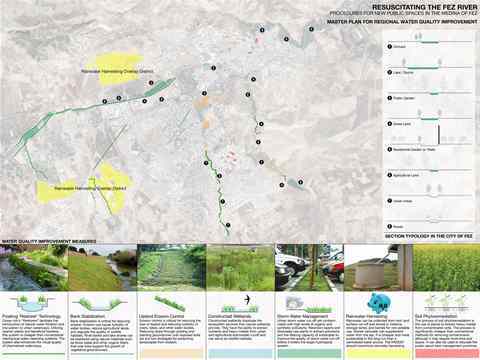 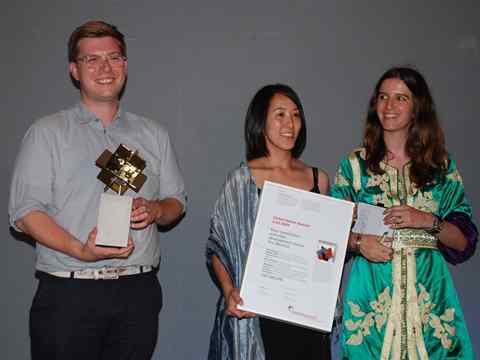 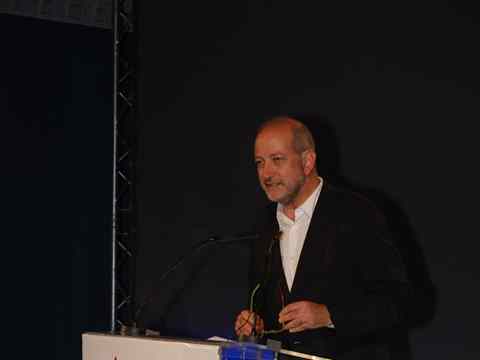 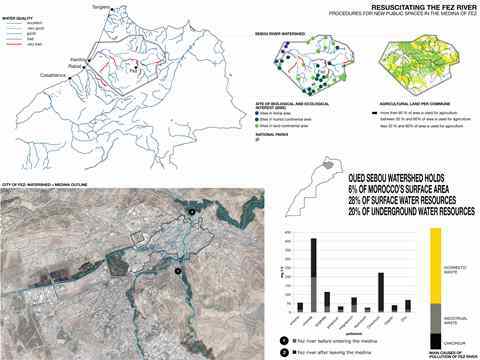 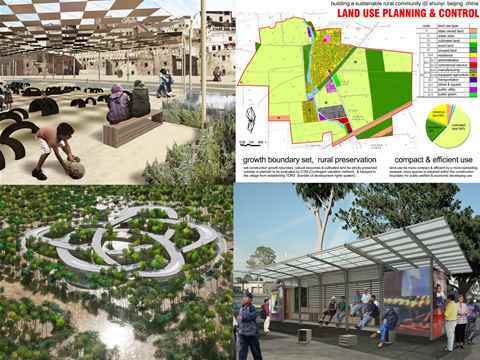 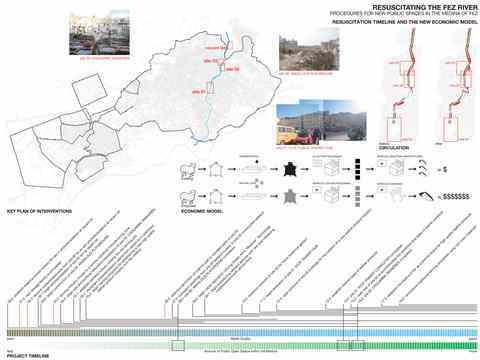 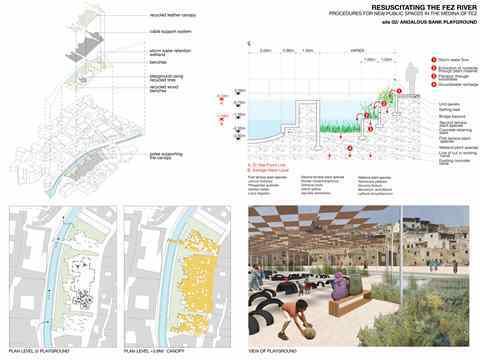 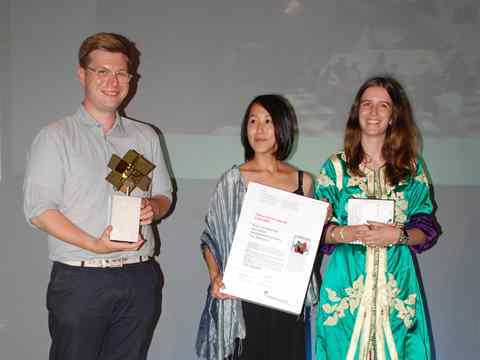 Saïd Mouline, former general architect for the Moroccan Ministry of Housing and member of several Holcim Awards juries, Morocco, provided conclusions after the second cycle of the global Holcim Awards competition. 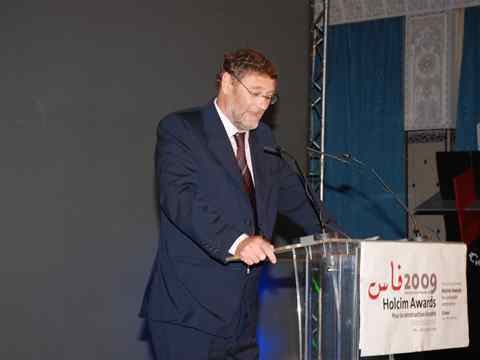 Dominique Drouet, CEO of Holcim Morocco highlighted the history of the city of Fez and expressed the pride of the country to be receiving global recognition for a construction project. 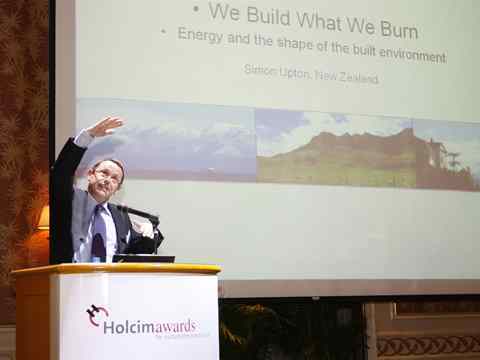 Edward Schwarz, General Manager, Holcim Foundation, Switzerland provided an overview of the activities of the Holcim Foundation and an update on the construction status of top winning projects from the first Holcim Awards cycle. 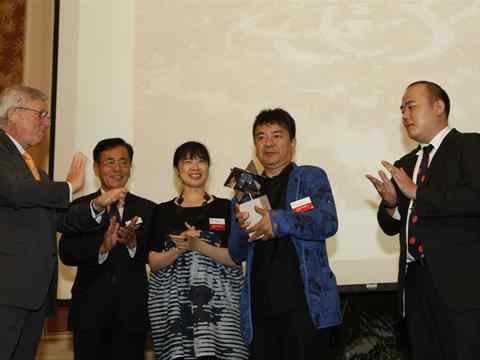 Hand-over presentation to the winners of the global Holcim Awards Silver prize (l-r): Masaaki Gokura, Representative of the Consul General of Japan in Ho Chi Minh City; members of the winning team: Kazuko Akamatsu and Kazuhiro Kojima, architects, Coelacanth and Associates Co., Ltd., Tokyo, Japan; Daisuke Sanuki, architect, Daisuke Sanuki Architectural Design Office, Tokyo, Japan; Vo Trong Nghia, architect, Vo Trong Nghia Co. Ltd, Ho Chi Minh City, Vietnam; and Holcim representatives: Gérard Letellier, Area Manager of Holcim, Switzerland; and Aidan Lynam, CEO of Holcim Vietnam, Vietnam. 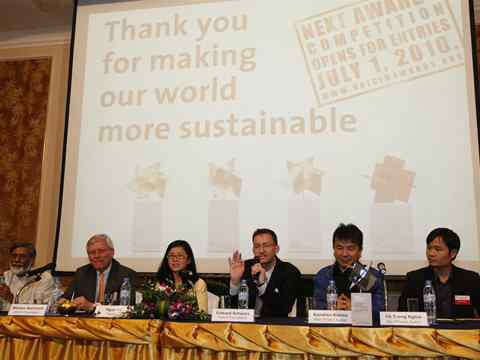 Hand-over presentation to the winners of the global Holcim Awards Silver prize "Low-impact greenfield university campus, Ho Chi Minh City, Vietnam": Markus Akermann, Chairman of the Management Board of the Holcim Foundation and CEO of Holcim Ltd, Switzerland and Masaaki Gokura, Representative of the Consul General of Japan in Ho Chi Minh City with members of the winning team: Kazuko Akamatsu and Kazuhiro Kojima, architects, Coelacanth and Associates Co., Ltd., Tokyo, Japan; Daisuke Sanuki, architect, Daisuke Sanuki Architectural Design Office, Tokyo, Japan. 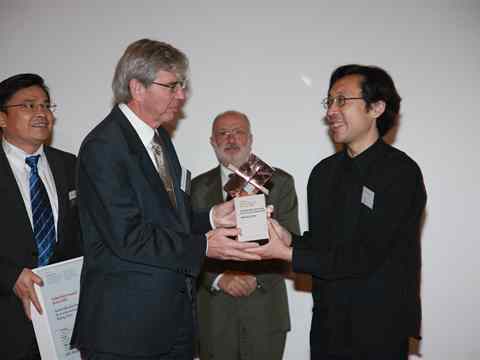 Hand-over presentation to the winners of the global Holcim Awards Silver prize "Low-impact greenfield university campus, Ho Chi Minh City, Vietnam": (l-r): Paul Hugentobler, Member of the Executive Committee of Holcim, Switzerland; Masaaki Gokura, Representative of the Consul General of Japan in Ho Chi Minh City; Kazuko Akamatsu and Kazuhiro Kojima, architects, Coelacanth and Associates Co., Ltd., Tokyo, Japan; Daisuke Sanuki, architect, Daisuke Sanuki Architectural Design Office, Tokyo, Japan; Vo Trong Nghia, architect, Vo Trong Nghia Co. Ltd, Ho Chi Minh City, Vietnam; Markus Akermann, Chairman of the Management Board of the Holcim Foundation, CEO of Holcim Ltd, Switzerland; Ashok B Lall, Principal and founder of Ashok B Lall Architects of New Delhi and representative of the Holcim Awards juries; Gérard Letellier, Area Manager of Holcim, Switzerland; and Aidan Lynam, CEO of Holcim Vietnam, Vietnam. 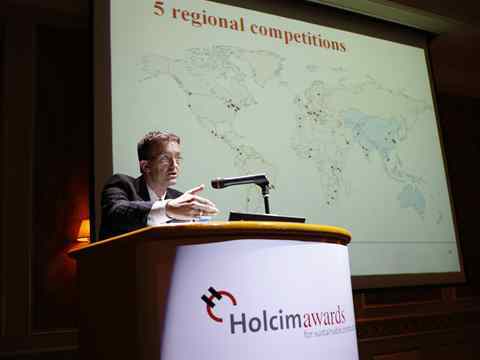 Aidan Lynam, CEO of Holcim Vietnam, expressed the pride of the country to be receiving global recognition for a construction project. 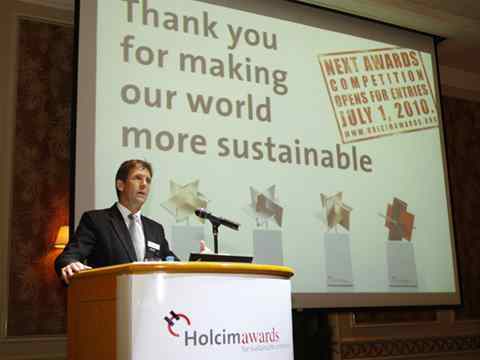 Markus Akermann, Chairman of the Management Board of the Holcim Foundation and CEO of Holcim Ltd, Switzerland, commented that the competition entries reflected the importance of international cooperation in developing solutions to the demanding challenges of sustainable construction. 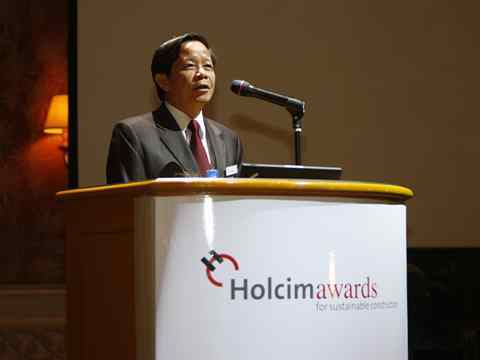 Bui Xuan Khu, Permanent Vice-Minister of Industry and Trade Vietnam welcomed guests to the hand-over ceremony and emphasized the importance of collaboration and innovation in generating sustainable construction solutions. 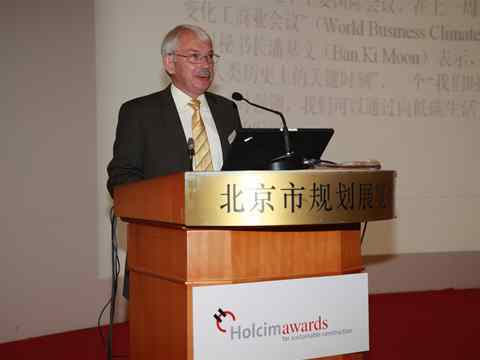 Edward Schwarz, General Manager of the Holcim Foundation, Switzerland, provided a historical background of the Holcim Foundation and an overview on the construction status of winning projects in Asia Pacific from the first and second Holcim Awards cycles. 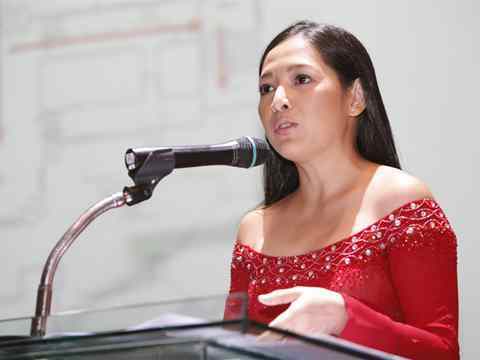 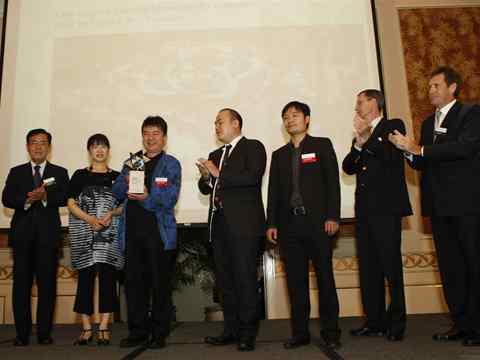 Quynh Huong, Talkshow Host, Ho Chi Minh TV, Vietnam, was the Master of Ceremonies in Vietnamese of the bilingual event. 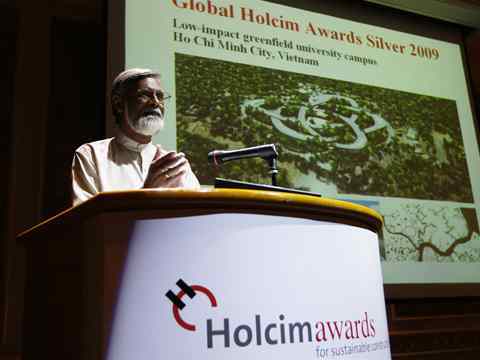 Media briefing held following the hand-over presentation to the winners of the global Holcim Awards Silver prize (l-r): Ashok B Lall, Principal and founder of Ashok B Lall Architects of New Delhi and representative of the Holcim Awards juries; Markus Akermann, Chairman of the Management Board of the Holcim Foundation, and CEO of Holcim Ltd, Switzerland; Ng?c Ha, translator; Edward Schwarz, General Manager of the Holcim Foundation, Switzerland; and winning team members Kazuhiro Kojima, architect, Coelacanth and Associates Co., Ltd., Tokyo, Japan and Vo Trong Nghia Co. Ltd, Ho Chi Minh City, Vietnam. 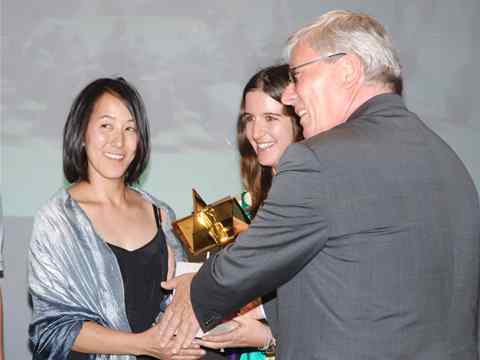 Winners of the global Holcim Awards Bronze prize 2009 and presenters at the hand-over ceremony receive applause from the audience at the Beijing Planning Exhibition Hall. 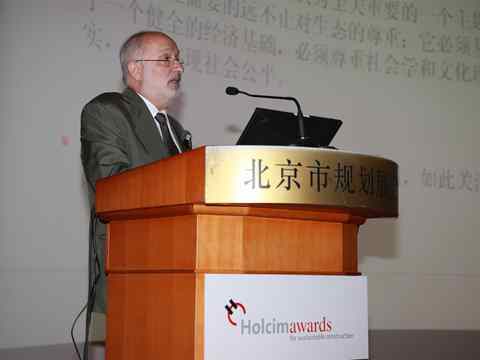 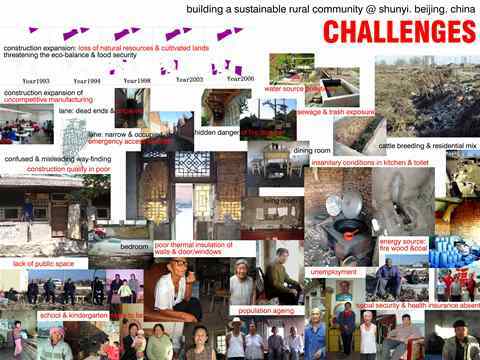 Global Holcim Awards Bronze 2009 handover in Beijing, China for "Sustainable planning for a rural community", Beijing, China: Rolf Soiron, Chairman of the Advisory Board of the Holcim Foundation, Switzerland, welcomed guests to the hand-over ceremony and provided an overview of the Holcim Awards competition. 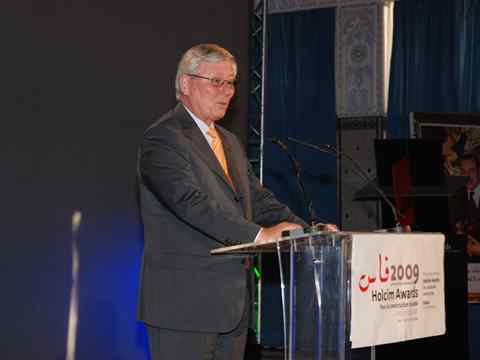 He emphasized the importance of pursuing sustainable approaches to construction against the backdrop of the global economic crisis. 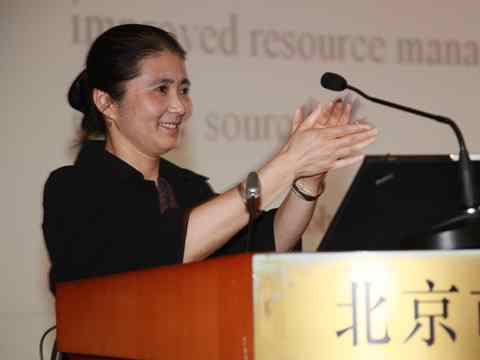 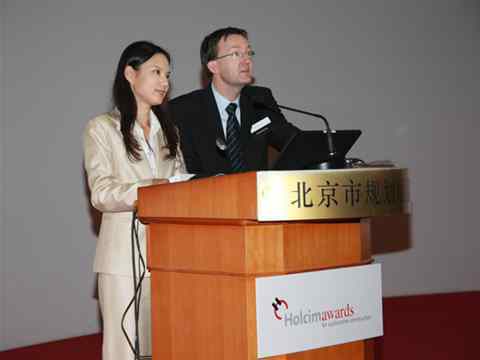 Global Holcim Awards Bronze 2009 handover in Beijing, China for "Sustainable planning for a rural community", Beijing, China: LI Bingren, Chief Economist, China Ministry of Housing and Urban-Rural Development, welcomed guests to the hand-over ceremony held at the Beijing Planning Exhibition Hall and emphasized the importance of sustainability in finding long-range solutions for development in rural areas. 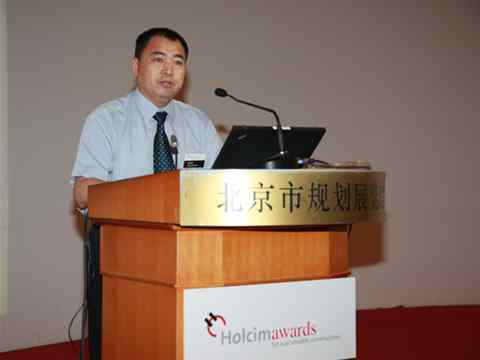 Global Holcim Awards Bronze 2009 handover in Beijing, China for "Sustainable planning for a rural community", Beijing, China: ZHANG Dongke, Section Chief, China Central Government Village Development Office, welcomed guests to the ceremony for the Holcim Awards Bronze prize 2009 hand-over and expressed his hope that winning the Holcim Awards would illustrate that the project is a step in the right direction toward a more sustainable human habitat. 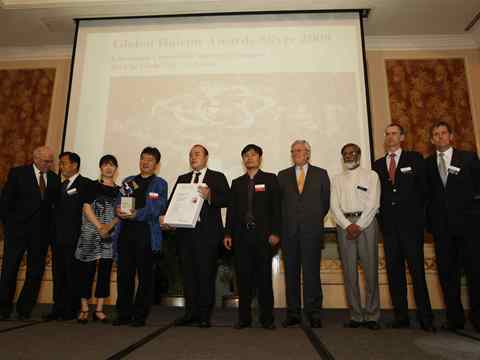 Global Holcim Awards Bronze 2009 handover in Beijing, China for "Sustainable planning for a rural community", Beijing, China: Masters of Ceremonies of the bilingual event (l-r): MAN Li, radio presenter with an international radio station in Beijing (Chinese) and Edward Schwarz, General Manager of the Holcim Foundation, Switzerland (English), provide a historical background of the Holcim Foundation and an overview on the construction status of winning projects in Asia Pacific from the first and second Holcim Awards cycles. 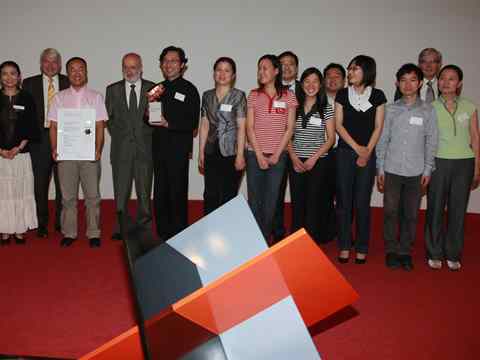 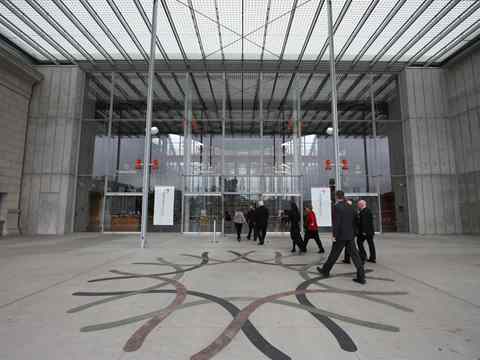 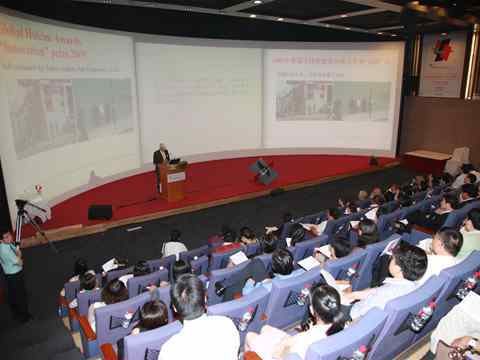 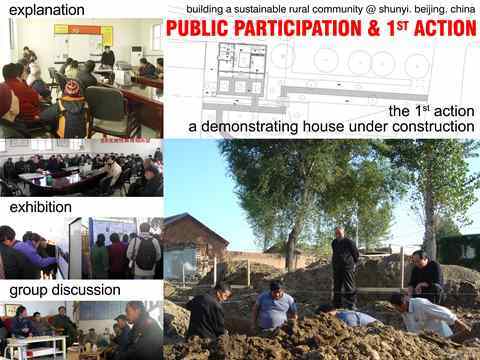 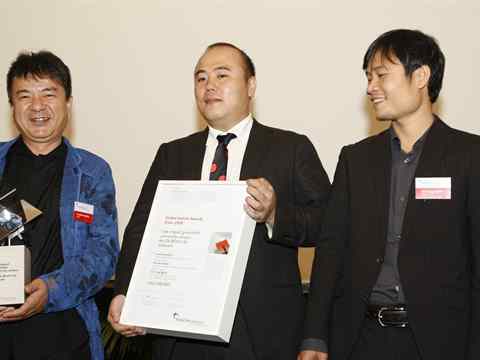 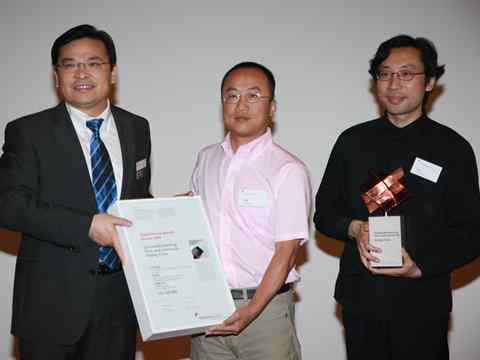 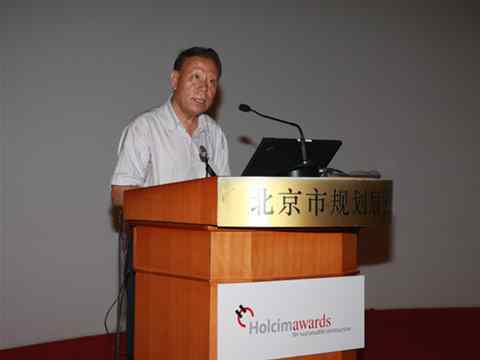 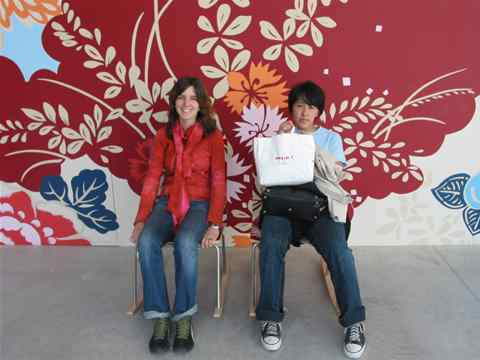 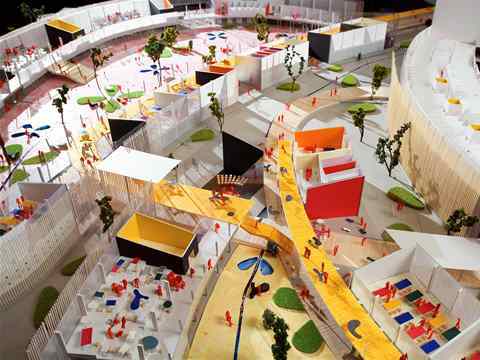 The hand-over presentation to the winners of the global Holcim Awards Bronze prize 2009 was held at the Beijing Planning Exhibition Hall. 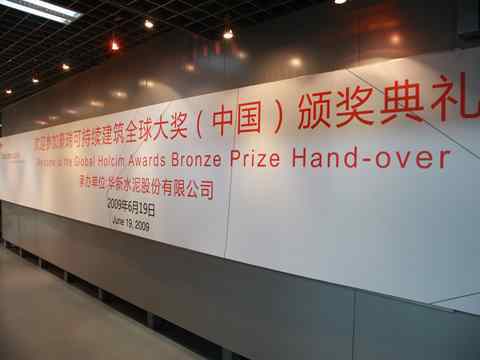 Banners welcomed guests to the hand-over presentation of the global Holcim Awards Bronze prize 2009 to Sustainable planning for a rural community, Beijing, China. 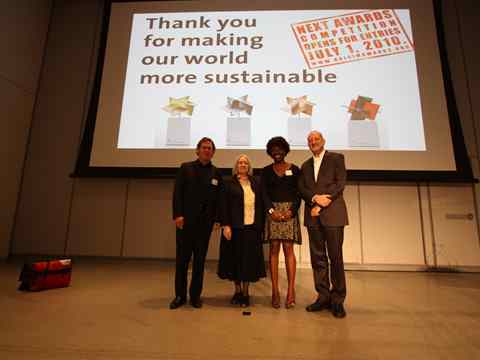 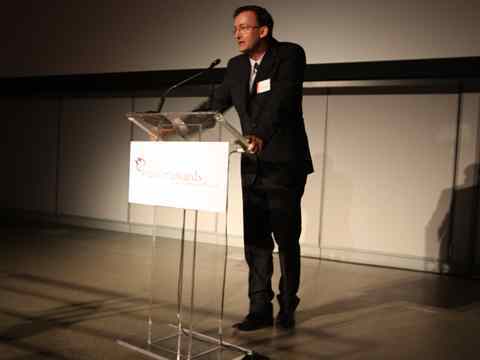 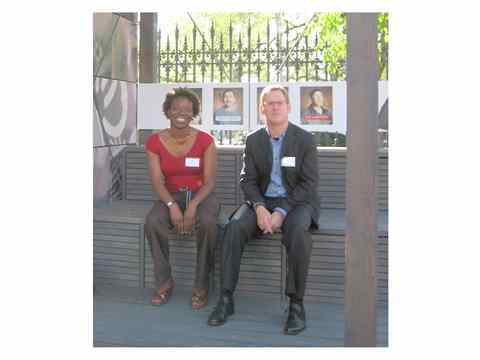 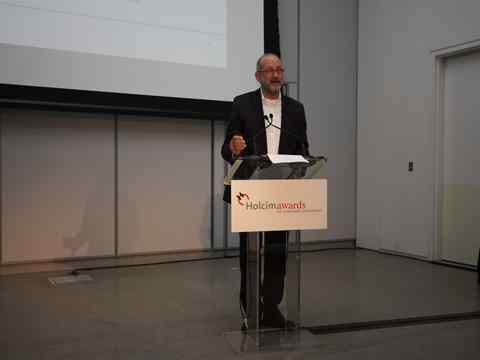 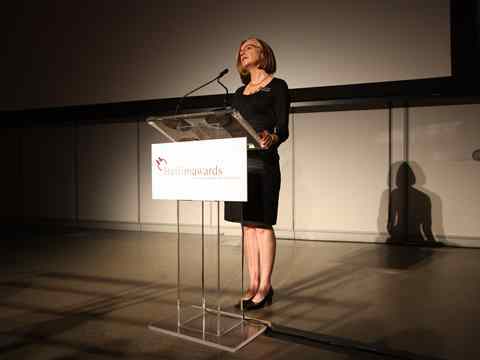 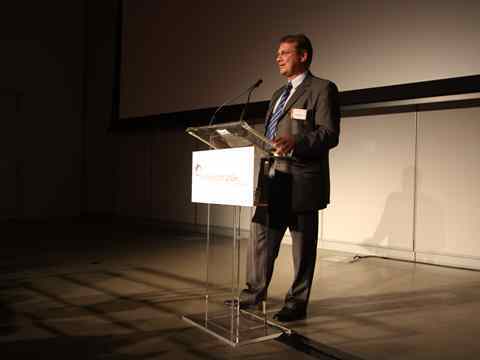 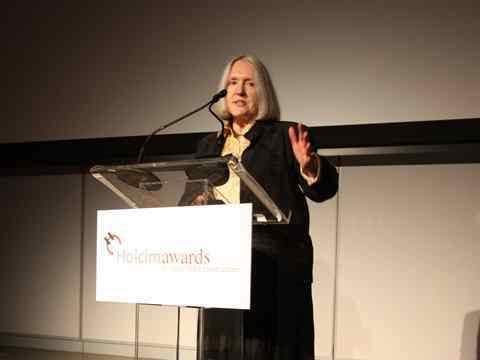 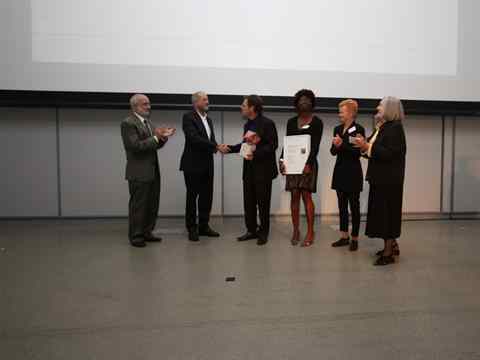 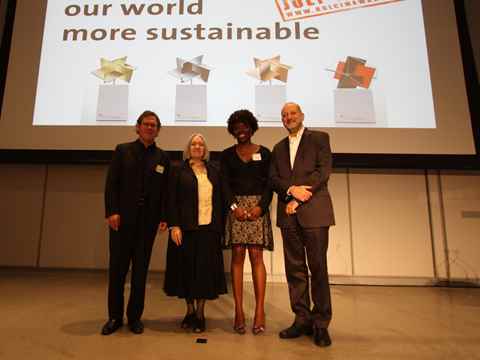 Edward Schwarz, General Manager of the Holcim Foundation, was Master of Ceremonies at the Global Holcim Awards "Innovation" prize hand-over held at the new California Academy of Sciences building. 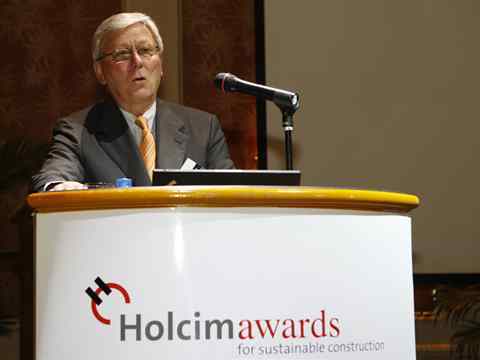 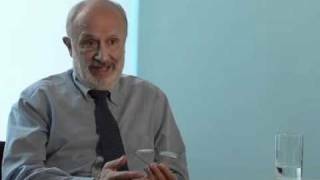 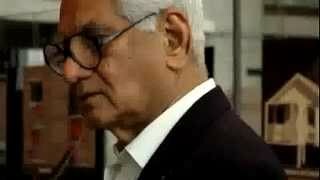 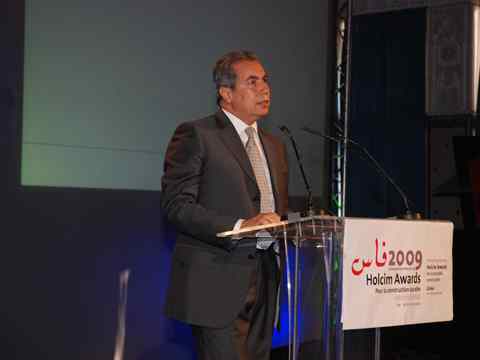 He recounted the history of the Holcim Awards and made reference to the current construction status of various projects in North America that were acclaimed in the first and second cycles of the competition. 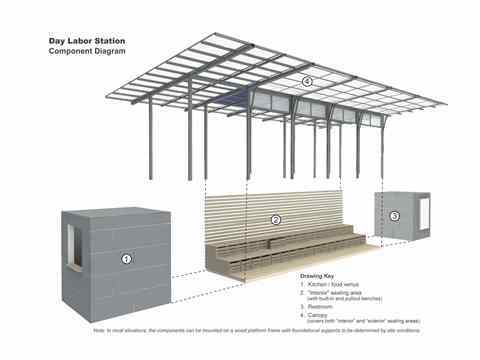 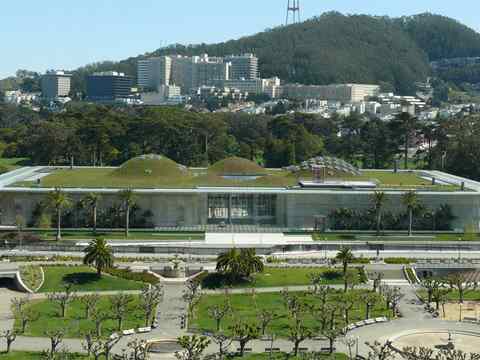 Project update 2010 - Project entry 2005 - New Sustainable California Academy of Sciences, San Francisco, USA: The iconic new building opened in September 2008 and is the largest public LEED Platinum-rated building in the world, and the world’s greenest museum. 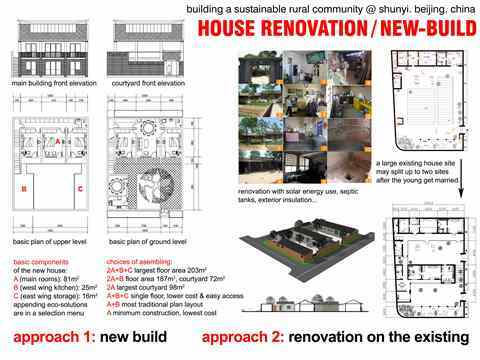 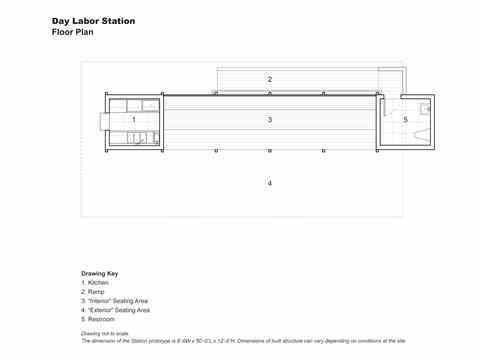 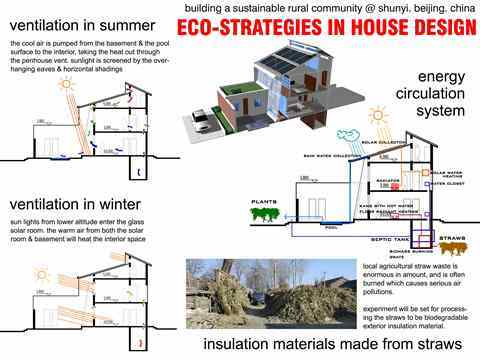 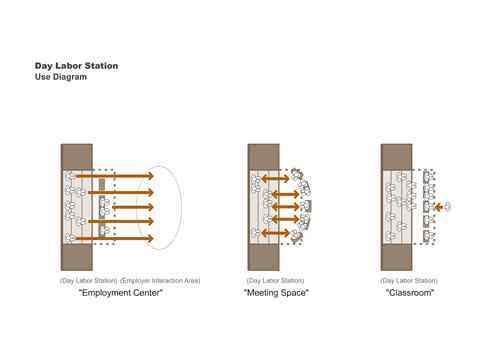 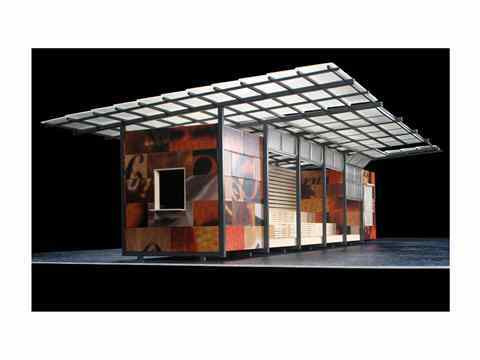 The design (inset) demonstrates the effective integration of concerns for sustainable construction with sophisticated architectural design. 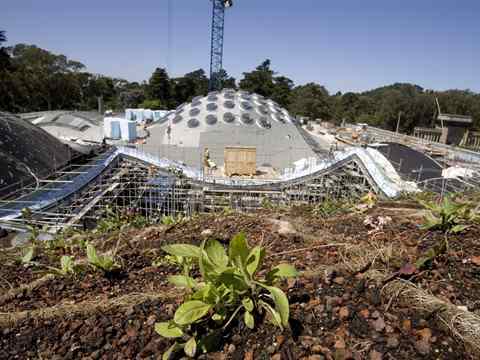 Project update 2010 - Project entry 2005 - New Sustainable California Academy of Sciences, San Francisco, USA: The building houses an Aquarium, Planetarium and Natural History Museum in addition to Research and Education facilities. 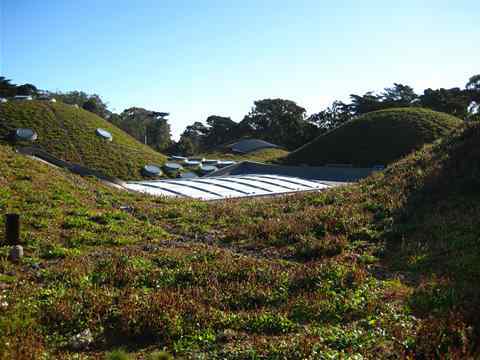 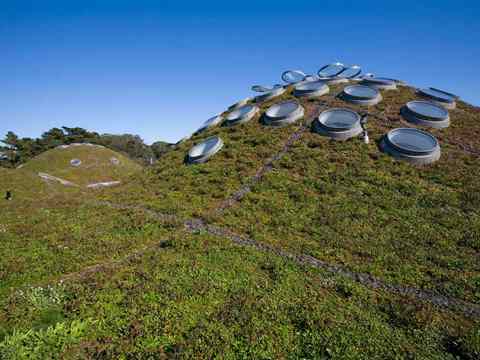 Project update 2010 - Project entry 2005 - New Sustainable California Academy of Sciences, San Francisco, USA: Over 1.75 million native plants grace the roof of this new building. 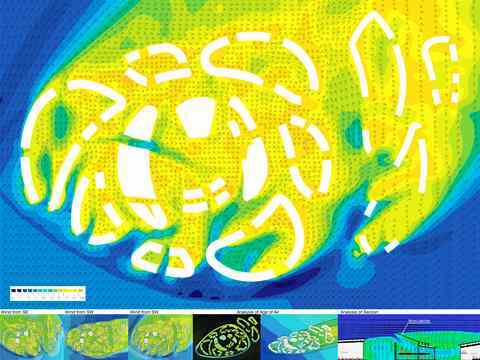 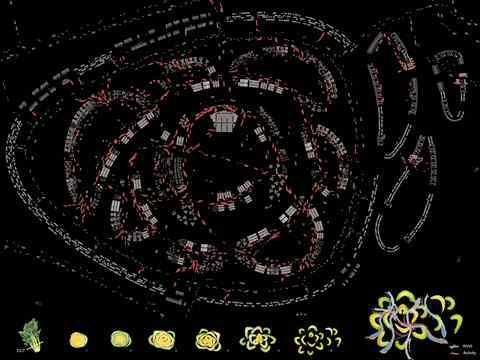 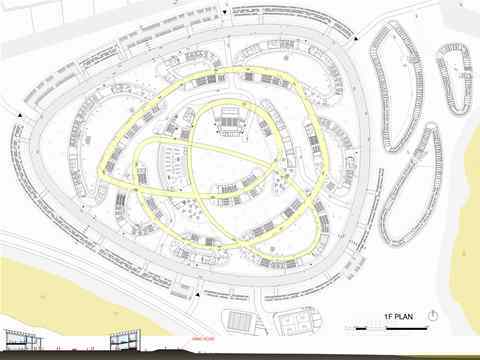 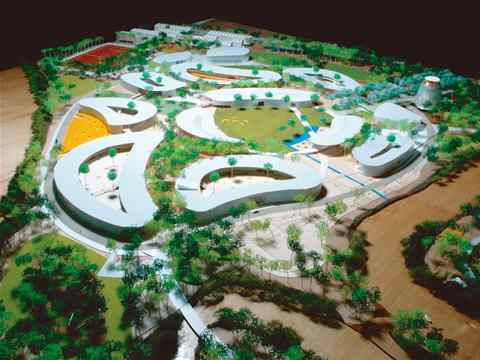 Project entry 2008 Asia Pacific - "Low-impact greenfield university campus, Ho Chi Minh City, Vietnam": According to computer fluid dynamics (CFD) analysis, the campus building plan was realized without air conditioning, a wind fluid design. 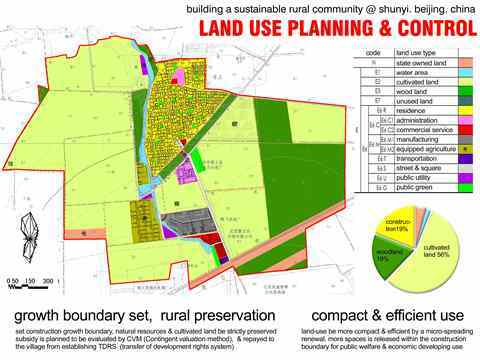 Project entry 2008 Asia Pacific - "Low-impact greenfield university campus, Ho Chi Minh City, Vietnam": Plans for a 40ha university campus on the margin of the Mekong Delta, maximizing the integration of nature with the design. 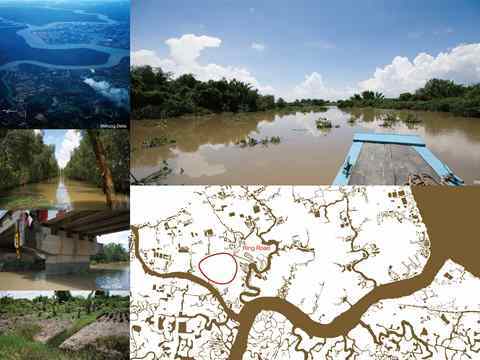 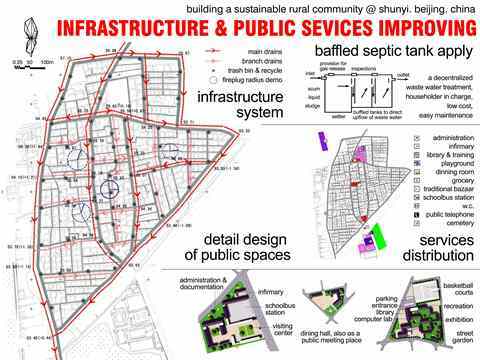 Project entry 2008 Asia Pacific - "Low-impact greenfield university campus, Ho Chi Minh City, Vietnam": Swampy site condition. 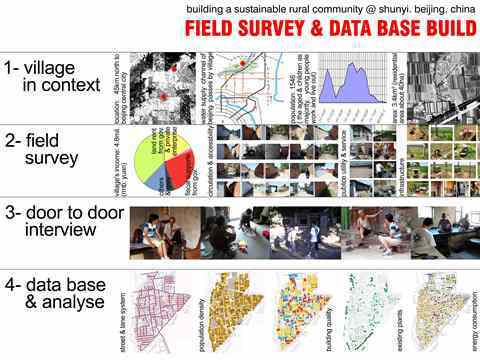 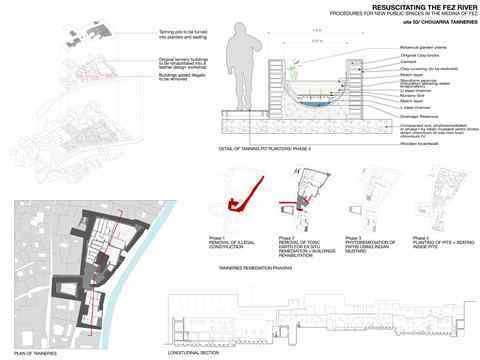 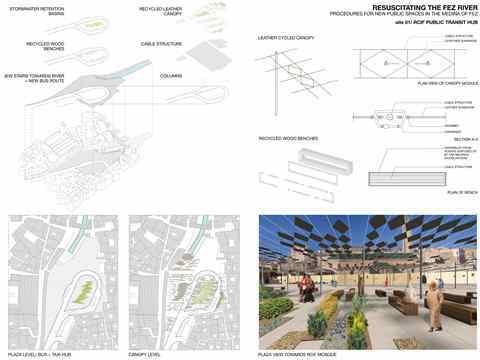 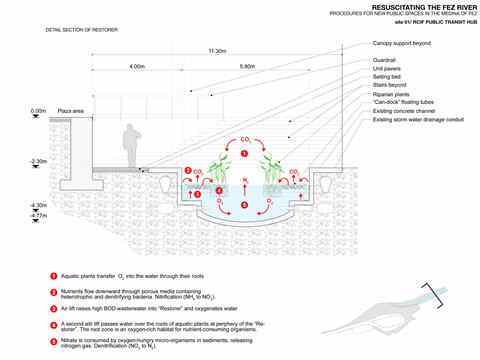 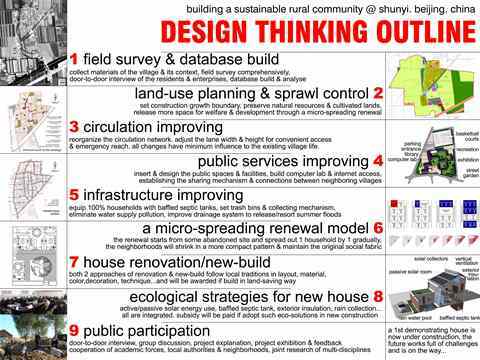 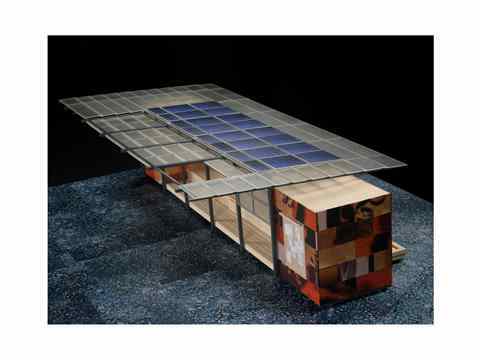 Project entry 2008 Asia Pacific - "Low-impact greenfield university campus, Ho Chi Minh City, Vietnam": Student activity fluid design. 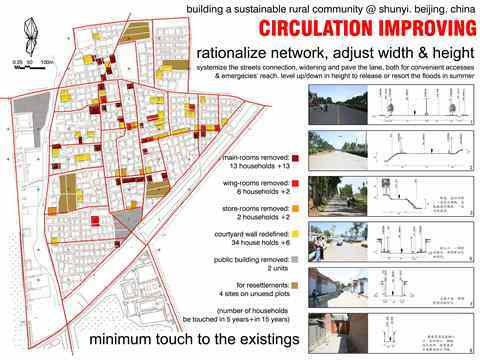 Project entry 2008 Asia Pacific - "Low-impact greenfield university campus, Ho Chi Minh City, Vietnam": Faculties and main circulation. 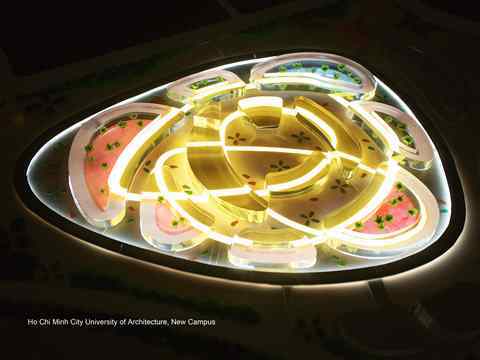 Project entry 2008 Asia Pacific - "Low-impact greenfield university campus, Ho Chi Minh City, Vietnam": Fluid space for activity. 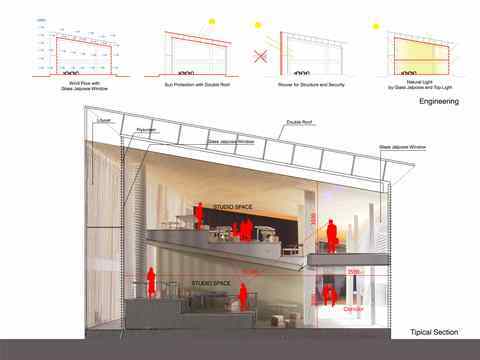 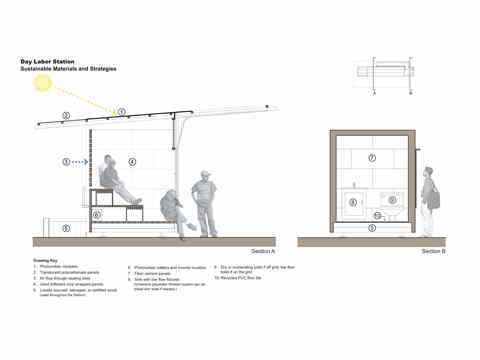 Project entry 2008 Asia Pacific - "Low-impact greenfield university campus, Ho Chi Minh City, Vietnam": Shading system and ventilation. 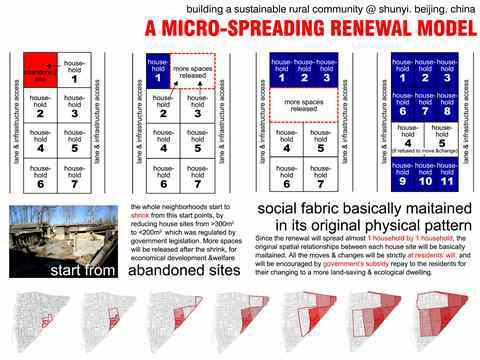 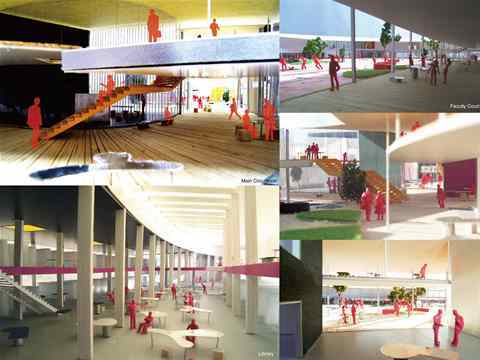 Project entry 2008 Asia Pacific - "Low-impact greenfield university campus, Ho Chi Minh City, Vietnam": Variety of sequential spaces. 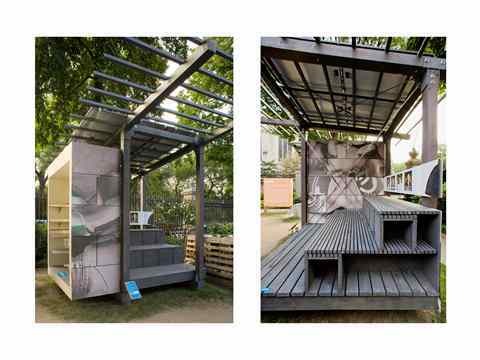 Project entry 2008 Asia Pacific - "Low-impact greenfield university campus, Ho Chi Minh City, Vietnam": Pleasant alfresco space. 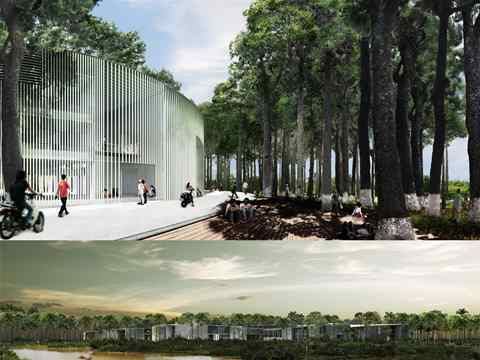 Project entry 2008 Asia Pacific - "Low-impact greenfield university campus, Ho Chi Minh City, Vietnam": Slipping into the natural site.